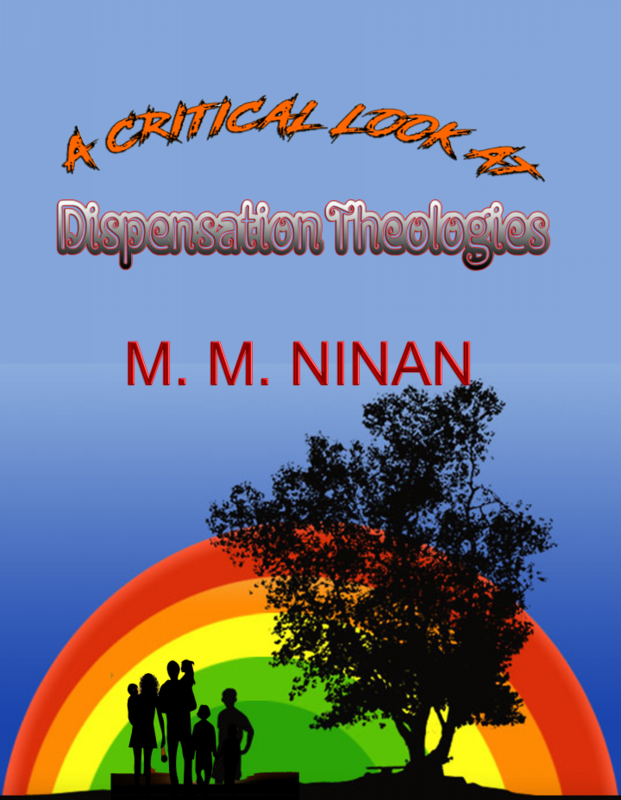 The concept of dispensation was well known to early Church Fathers as, the gradual system of bringing the sons of God to perfection into the likeness of the Son of God. As the parents make up rules for each child depending on the age and ability of the child, God is giving instructions and rules so that they may grow up into the likeness of His begotten Son. It was for this purpose the Son of God became the Son of Man. The Eastern Churches understood this as Theosis. God do change his plan depending on the reaction of the mankind. Man is given the freedom to make choices and father changes his disciplines accordingly. There are dimensions of existences which are far beyond our current understanding to which every child of God is expected to step into. God is Love and his Love never fails. We are indeed part of God. We move and have our being in Him. This is the oneness of the creation and creator - an Elohim relation to which we are asked to enter. This is why we are created in the image of God and created with his breath to be Children of God. When the concept of dispensation was taken over under the Calvinistic Theology in the seventeenth century this went in totally different directions. God ceased to be a loving father. God became a feudal lord who could not stand the disobedience of his slaves-the Adamic race. (Is this not the teaching of the ISIS Isalmic group today?). He needed to take revenge in order to regain His glory. He became a discriminating tyrant who elected a few to heaven and all others to eternal hell. God got the glory and victory in doing that. It will prove that God is still in control. Is that not the ultimate purpose of His creation? In this system God himself was reduced to a robot or a machine. God is no more a free person, he does not have a choice. He has preordained and even revealed it to the elect and hence, he is bound by it. God ceased to be a person and remain as a pre-programmed machine. God cannot even change His plans to suit the necessity of his children. He was forced to give them tests, predetermined all the time that they fail the test. When they failed as he has preordained ahead, they were punished all the more. The mystery of the Church age was not even known to Jesus, it was revealed to Paul alone. The emphasis on the concept of secret rapture led to prediction of the exact date and times for the event with a guarantee that it is 99.9% accurate. Invariably these proved false. Yet we are asked to believe in the accuracy of the scripture. While Pauline revelation of the mystery of the Church came only by 62 AD, there was a flourishing church in India by that time. Who ordered this church? All these interpretations are forced on to the basic simple concept of dispensation forcing it to fantasy and fallacy. I will leave the conclusions to the reader. I remember in 1965 these problems led to serious argument within our Group in the Sudan Three Towns Bible Study Group consisting of Khartoum, Khartoum North and Omdurman. The group contained all different church groups. The study came to a halt for three months. At that time I was a novice to theology. But the memory and its painful bitteness still remains. Getting back into the teachings of the early fathers will simply and elegantly avoid these insoluble problems. God is Love and in his love he created man with enough space to make choices. Even when they made wrong choices, Father God carried them through as a mentor and He will be there to carry them home.. Taken as a house rules where children are given responsibilities so that they mature to manhood, the dispensation periods will prove as useful tool to understand the scripture..